The John Beargrease Sled Dog Marathon is the longest sled dog race in the lower 48 states. 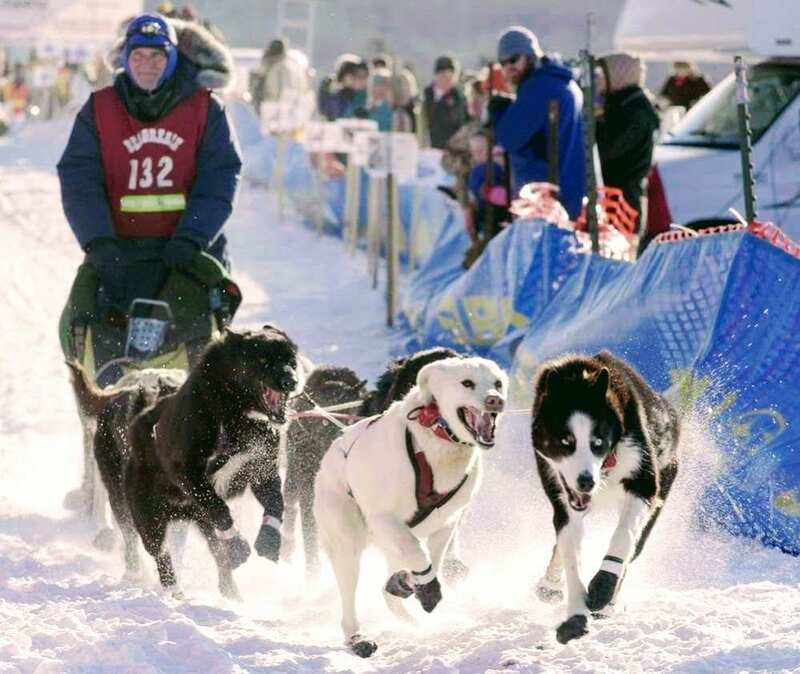 World class mushers compete in this nearly 400 mile event – facing off against other seasoned competitors as well as the extremes of northern Minnesota weather and the deceivingly rugged terrain of the trail. The “Beargrease” is a qualifier for the famed Iditarod race in Alaska. The organization hosts a Mid-Distance Race as well; like the marathon mushers, the mid-distance racers also travel through the rugged Sawtooth mountains and up the Gunflint Trail. All check points and road crossings are easily accessible to the public and provide many opportunities for photographers, winter camping or simply quality time around a campfire with good people, hot chocolate and the thrill of seeing these amazing canine athletes and their hardy handlers in action. Come visit the Gunflint Trail between January 26th and 29th, 2018 to experience this spectacular race. For more information, please see the John Beargrease Sled Dog Marathon webpage. This three day package will give you the opportunity to watch the race, as well as try a little dog sledding yourself. On Saturday, you can take a dog sled ride with Christina. You can purchase tickets separately to attend the Opening Ceremonies and dinner in Two Harbors or you may choose to dine in Justine’s at Gunflint Lodge. The race starts Sunday, January 28, at Two Harbors. You may choose to eat meals in our Lodge, or we will pack you a breakfast to go and a bag lunch to take with you to the race if you want to get an early start. When you return from watching the race, you will enjoy a hot meal in front of the fireplace in the dining room and can return to your cabin to relax in front of a fire or in your in-room sauna or whirlpool. The 400 mile Marathon will go past Trail Center, right here on the Gunflint Trail, and the Mid-Distance Race will finish there. You can watch the race as it comes up the Gunflint Trail, and you can attend the Mid-Distance Race Awards Banquet at Trail Center Monday afternoon. Prices based on double occupancy. Base cabin occupancies apply.